Lodi is located between the Sierra Nevada Mountains and San Francisco, California. I have yet to visit the wine country in this state, but was intrigued after this tasting. 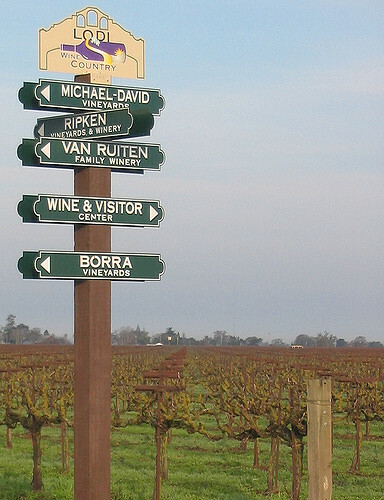 Lodi has a good footprint on the California winemaking scene making up 20% of California’s wine production in total. It was also voted in 2015 as Wine Region of the Year by Wine Enthusiast magazine. Many associate Lodi with zinfandel as I did myself, but there is so much more to be discovered. For you red wine lovers out there, about 2/3 of Lodi’s vineyards are planted to red grapes so there isn’t a shortage of red wine in this wine region of California. There are actually over 100 different varietals produced there with influences of grapes from a number of countries including Italy, Spain, Southern Rhone, Germany and Portugal, along with the classic varieties of chardonnay, cabernet sauvignon, zinfandel, merlot and sauvignon blanc. 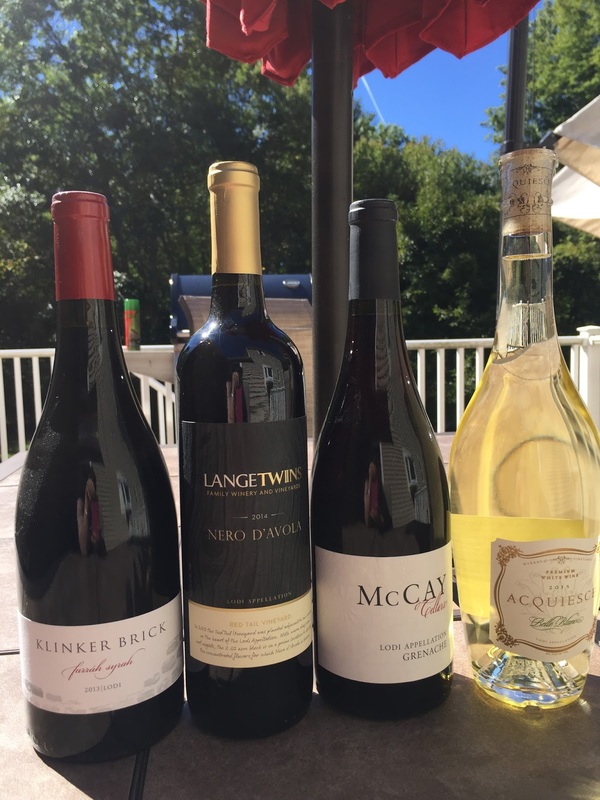 I recently was invited to attend a virtual tasting on the wines of Lodi, California. Always enjoying to venture out and understand the comprehensive world of wines I was happy to receive some wine samples compliments of Snooth and the Wines ofLodi. What most intrigued me about the different wines I received was the variety of wines that I received. Here are the wines I was sent. o Michael McCay, owner of McCay Cellars, has been growing grapes for 25 years and joined us on our tasting describing his wines with the goal of “creating southern Rhone style wines”. This wine is 100% Grenache and was a fan favorite from the tasting. An elegant wine, fruit forward in style with bright red berries and a little bit of spice and pepper. About 300 cases produced. SRP $32. ABV 14.2%. o Named after owner, Steve and Lori Felten’s daughter Farrah, this winery produces zinfandel wines from old vine vineyards that have an average age of 85 years. This full-bodied zinfandel was aged 15 months in French oak and is earthy full of black berries and ripe plums along with a kick of spice. SRP $20. ABV 14.9%. 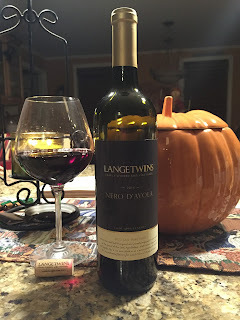 I wanted to share all the wines that I tasted, but specifically highlighting the Lange Twins Family Winery due to their experimentation with Italian grapes and the 2014 nero d’avola. They produce Italian grapes such as moscato, nero d’avola, aglianico, barbera, pinot grigio, sangiovese and teroldego. Lange Twins Family Winery started in 2006. Randall and Brad Lange, now owners of the winery, grew up in an agricultural family. Their great grandparents were cultivators of watermelon’s in the 1870’s. In 1916 was the first time they began working with grapes. Randall and Brad began farming themselves in 1974 until they opened Lange Twine Family Winery. 5th generation. The family grows 23 different grape varieties throughout the vineyard sites that they manage and have established. They are located in 4 counties with one of them being Lodi and the others Clarksburg and Clements Hill. If you’re not familiar with nero d’avola, it is a grape indigenous to the island of Sicily in Italy. This was actually my first experience trying a nero d’avola produced outside of its original territory. This was the first vintage of this wine for them. It was planted in 2012 in the Red Tail Vineyard. 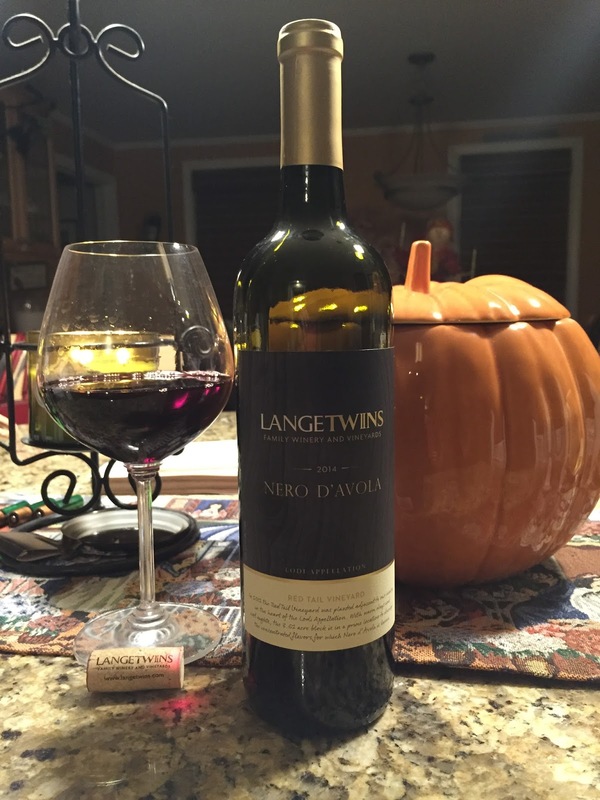 I found the 2014 Lange Twins Family Winery Nero d'Avola to be a medium bodied wine with the dark fruit aromas jumping out of the glass. Very rustic with lots of bright, ripe black cherries. SRP $20. It’s a wine that is aged in neutral American and French oak for 18 months. ABV 13%. SRP $20. What’s your experience with the wines of Lodi, California and any favorites?